During the season of Holy PASCHA we sing: “As many as have been baptized into Christ have put on Christ” (Galatians 3:27). Traditionally, catechumens are received into the Church by sacramental rite (baptism and/or anointing with Chrism) especially during this period of the liturgical year. On Lazarus Saturday 23 April, Jen Genevieve Werner was baptized into the Orthodox faith at Saint Basil the Great Church in Watervliet NY by Father Matthew Markewich (Rector, Christ the Savior Church, Ballston Lake NY). 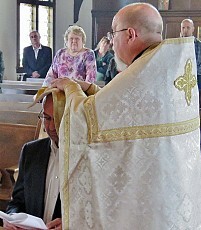 Following the baptism, Father Igor Burdikoff celebrated the Divine Liturgy. Sponsoring Jen in baptism were Pat and William Rentz. 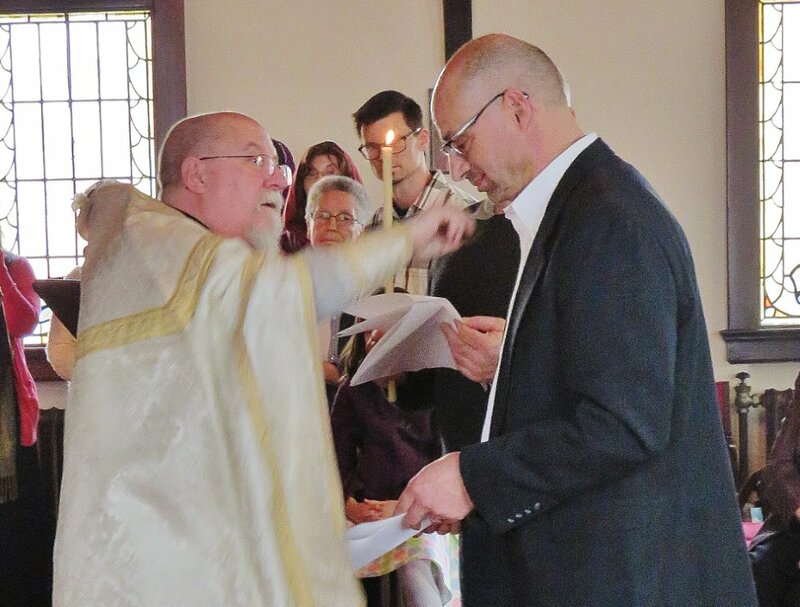 On Holy Saturday, 30 April in Rochester NY, Saint John the Baptist Church embraced Morgan Onesimus Smith through holy anointing (Chrismation) by the hand of Father Ken James Stavrevsky and sponsor Stephen Merowsky. of the Body of Christ -- His Holy Church.